I see that you have been involved in a rather large tweet storm this weekend, focusing on your support for Autism Speaks. My guess is you would agree that 140 characters at a time is far too limiting to take on a complex discussion. Open letters such as this are as well, but at least I can go into a bit more detail. I hope you take the time to read and at least try to see at least my side of this discussion. First off, yes, I am part of the autism communities. My kid is autistic. I try to guard my kid’s privacy so I don’t give out a lot of details. But let me just say this: if people tell you, “Obviously his kid is ‘high functioning’ so he doesn’t understand what ‘real’ autism is about”, they are wrong. Let me add: anyone who takes the position of discounting another’s voice based on some measure of “severity” of autism is harming our communities. My kid’s challenges are very different, but no less real than those of self-advocates you are hearing on twitter. Just as my kid’s challenges are very different, but no less real, than those of the other kids at his school who will likely never be on twitter. Another way to put this is this: people will likely tell you this is a divide between parents of kids with “real” autism vs. self-advocates with “mild” autism. For what it is worth, some of my kid’s strongest allies are those self-advocates you are hearing from. Some of those who have done the most damage are other parents who, well meaning as they are, have increased the stigma of autism. There is a difference, a big difference, between autism awareness and promoting Autism Speaks. “Light it Up Blue” isn’t an autism community effort, it is an Autism Speaks effort. Most autism organizations don’t promote “light it up blue”. I didn’t find one in my search yesterday other than Autism Speaks. There probably were some, but major organizations were not a part of “light it up blue”. This is why people focused on the avatar you used on Twitter yesterday. It was an Autism Speaks “light it up blue” logo. The blue light bulb logo with the Autsim Speaks puzzle piece. So, why would supporting Autism Speaks spark a strong response? I bet there are as many answers (more even) that tweets directed at you. But let me tell you about a few reasons. First on the list for me is the fact that over the years Autism Speaks has used truly bad depictions of autistics in their promotional materials. Their “I Am Autism” video is an example of this. It’s the sort of inspiration at the expense of the disabled that we saw in generations past. It presents autism as a monster that steals children. It presents the autism community as all the allies, but not the autistics. Seriously, read the transcript on who the community is. This is a systemic problem in the autism community: considering it a community of the allies, not the autistics. The I am Autism video is old, and I will admit that Autism Speaks has evolved since then. But they aren’t where we need them to be yet. I saw that people tweeted to you about how Mr. John Robison, an autistic self-advocate, left Autism Speaks. He was at the time the first and only autistic in an important position in Autism Speaks. Please take the time to read his article (in the link I just gave) about his reasons for leaving. Analogies are always flawed, and coming up with a good one here is difficult. But imagine that the NAACP were staffed by well meaning white parents who had adopted African American kids. That African American’s themselves didn’t have a voice in their own advocacy organization. That they didn’t listen when an African American voiced a different opinion than theirs. Please don’t fall for the false dichotomy of whether it should be parents or self-advocates who direct autism advocacy. It should be both. There will always be parents and siblings and others who hold the place at the table for autistics who can’t be there themselves (by the way, this includes many self-advocates. But that is another discussion). But we as parents have to work with the spectrum of our community, or we are only advocates for our own child not the whole. We need to work with adult and non-adult self-advocates. Not in spite of our differences in focus, but because of our difference in focus. I have seen you respond to people that, instead of tweeting at you, perhaps they should focus their attention on organizing their own advocacy efforts. Many have. By the way, tweeting one’s opposition to your actions is advocacy. That said, one of the issues with Autism Speaks is that they have corportatized autism advocacy, branded themselves as the one-stop autism adovcacy location, to the point that local dollars are not available for small, community based advocacy efforts. 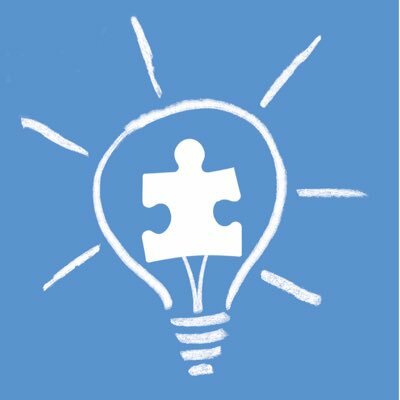 Case in point: you chose the Autism Speaks logo, the Autism Speaks motto (light it up blue), as being a generic autism advocacy effort. Again, this is a big reason why that logo, that icon, garnered the reaction you received. Lastly, let me point out that over its history Autism Speaks has promoted the failed and damaging “autism is a vaccine epidemic” idea. Again, they have evolved over time. But they still have far to go. The vaccines-cause-autism idea is so incredibly damaging to our communities, to autistics, that I could easily triple the length of this piece by discussing it. Let me try to be brief. First off, it’s wrong. Simply and clearly, it’s wrong. You will find parents who believe it, who promote the idea. That doesn’t make it correct. Listen to the parents who promote the vaccines-cause-autism idea. Hear and feel their pain. And ask yourself, if you could help them to not feel that pain, wouldn’t you? If what you are doing is causing more people to feel that pain, wouldn’t you want to change? The path to stopping that pain is by getting good information out. Accuate information. Vaccines do not cause autism. You probably woudn’t believe me if I told you all the fake “cures” sold to autism parents under the guise of “healing vaccine injury”. Chemical castration. Bleach drinks and enemas. Those are but two of the more abusive. There are many more, fake cures which tend to have one thing in common (in addition to being worthless): costing families lots of money. But if you say your “treatment” is for “vaccine injury”, no-one in the vaccines-cause-autism community will speak out against you. That’s where Autism Speaks could and should step up. Could and should make a difference for our communities. Some have tried, but as an organization, this has been a spectacular failure for Autism Speaks. Here’s the thing–Bob Wright vetoed that message. First he put his own message up together with Dr. Ring’s. Then he disappeared Ring’s message. I hope you took the time to read this. I hope you can take the time to understand the positions here. I don’t ask you to agree, but to understand. I don’t see that so far. Understanding–it’s a form of acceptance. Understand the positions of the people who disagree with you. Accept that they have a different point of view. Even if they are sometimes harsh. Shatner is enjoying the fawning adoration of similarly small minded individuals who don’t possess a shred of empathy. THEY harassed ME! THEY attacked ME! Won’t SOMEONE think of ME! Thanks for this: When researching for my Asperger blog, it is apparent that Autism Speaks has become the “go to” source about Autism for the major media industry. If I use info that refers to ASpeaks as a source, I include a note that ASpeaks does not represent the Autism community, but promotes its own power and influence agenda. Also – I check out the funding source and “ownership” of so-called charities that use the Internet to obtain donations; you’d be amazed at how many million dollar + charities are “family businesses” run out of residential addresses. The requirements and reporting that qualify as “non-profit” are so easy to scam. My sense is that a lot of Autism awareness promotion is aimed at clicking “donate now” without any intent beyond turning donations into more donations. Someone pointed out to me that Shatner is still defending himself. He characterizes the above open letter as being all about the vaccine question (it isn’t) and that I claim that Autism Speaks currently pushes the vaccines-cause-autism idea. The key statement above is past tense. Also, I note that Autism Speaks has flip-flopped on this in the past. While I don’t spell it out, there is always the worry that they will flip flop again. It is encouraging that Mr. Shatner’s response indicates that he does not subscribe to or promote the vaccine-causation myth. Thank god–we have seen enough damage from celebrities who feel they know more than people who have actually read the science (and I include Jenny McCarthy in that, even though she may claim to have read the science. RFK Jr., you too). Anyway, thanks to Mr. Shatner, many more people are aware of the fact that Autism Speaks is not a universally loved organization within the autism communities. The more he defends himself, the more that message gets out. It would have been nice had Mr. Shatner not just looked for any reason to discount the above letter, but at the same time at least he read (at least part) of it. For that I do sincerely thank him. Soon Mr. Shatner will move on. Probably not give us in the autism communities much thought. And there is nothing wrong with that. But I can’t. I really need Autism Speaks to continue to evolve. I need them to get well past their history. At least Autism Speaks didn’t become a dynasty. That would have probably killed the org, but not before a spectacular supernova of harm to our communities. After writing that I went on Twitter to see what was going on. Actually had a good exchange with Mr. Shatner. I can’t do the whole Twitter thing…but glad to hear you were able to converse with him successfully.